*(Ref Countdown) Zeth looks on as the ref starts the count. *(Down for the Count) Zeth gains the upper hand in his match versus Fenix. *(Zeth’s Leaping Dodge) Zeth leaping over Fenix during their battle. *(Duncan’s Point of View) Duncan overlooking the fight between Fenix and Zeth. *(Zeth Injured) Zeth is injured during his battle with Fenix. *(Police Rollout) Team of police cars heading out of Police HQ garage. 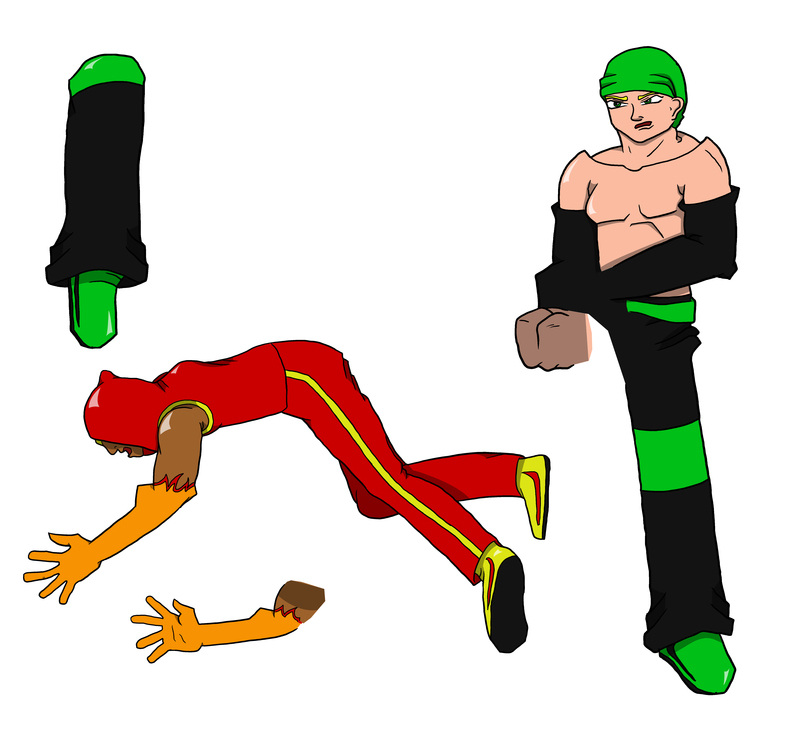 *(Zeth In-Ring Parkour) Zeth and Fenix continuing their battle. *(Zeth Elbow Strike) Zeth connecting with an elbow strike against Fenix. *(Staredown) The battle has begun! *(Faceoff) Fenix and Zeth face-off before battle. *(Behind the Scenes) A wireframe view of the fighting environment. *(Make an Entrance) Zeth makes his entrance to the ring. *(Celebration) The scene is completed and the placeholder people have been replaced. *(Beginnings of a crowd) I started using the same people to get placement of the crowd in. Afterwards, I footage replaced the people to get random fans in the locations. *(Completed Arena) The arena setting with part of the crowd placed in as well as the big screen working with fighter intro videos. *(Arena) The arena setting, textured with lighting work in progress. *(Flooded Streets) The city burns, as the streets are engulfed by a giant wave of water. *(On the Road) In a post-apocalyptic world, where will these characters head for safety? Does safety even exist in this new world? *(Earth in Danger) An asteroid headed towards the Earth. Is the Earth actually in danger or is there anything that can be done to stop it? *(Flooded City) A city now lays underwater, but why? What has happened here? *(Opening Starfield) The Cosmic Rage Universe has some elements of mysticism, as shown above. 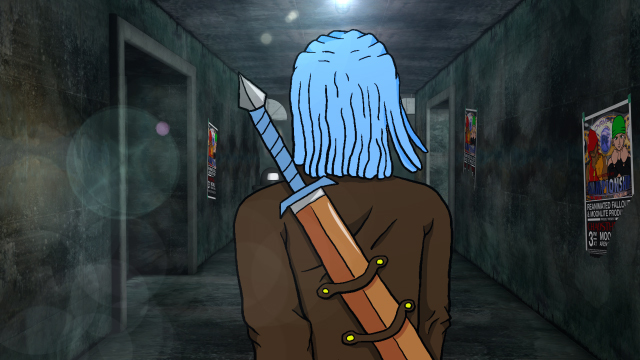 This image is from the animated opening that will be created. *(Fight Scene Production Art 1) As you can see, here are the two images that were each scanned in separately and then positioned in photoshop. You can see the crossing marks I created to ensure that I have each of the characters in the intended position for the shot. *(Fight Scene Production Art 2) These are the pieces that will create the final image. As you can see there are a few elements that are separated from the main image so we will be able to animate them individually later. *(Fight Scene Production Art 3) This is the final image of how the pieces will be placed together for this shot. *(Hallway Scene) The first appearance by a character named Duncan. 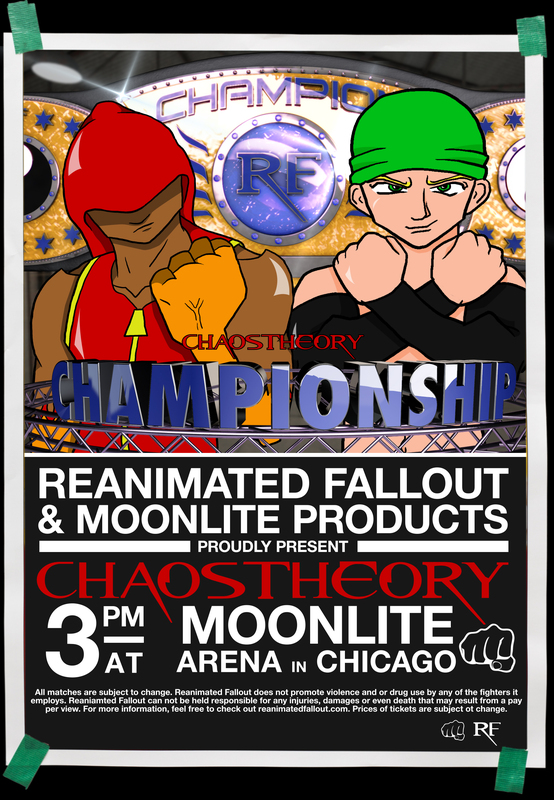 *(Championship Fighting poster) This poster sets the stage for the first conflict between Zeth and Fenix. 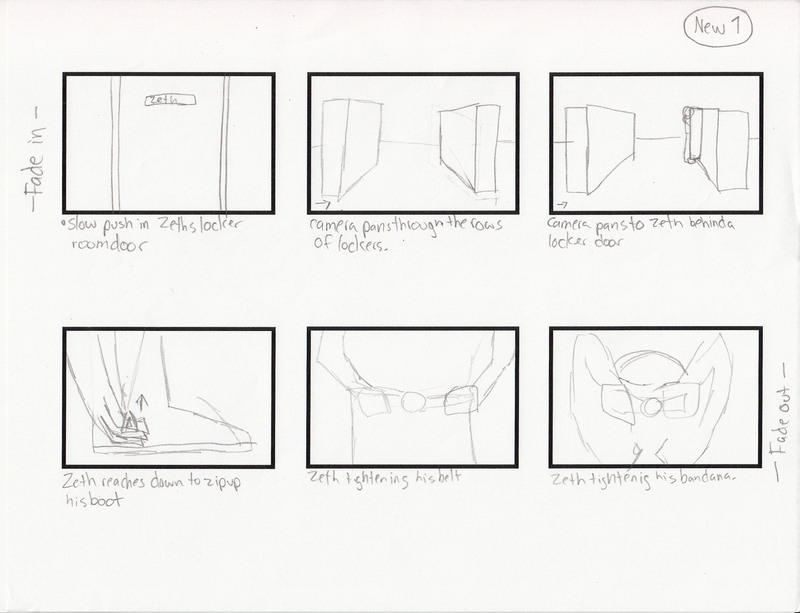 *(Storyboard Page 1) This is a storyboard to some of the first shots in the Cosmic Rage motion comic. As you can see, I reversed the layout of frame 3 because I wanted Zeth to appear in the frame faster. I also added in a garbage can in the locker room to give the scene more depth as well. 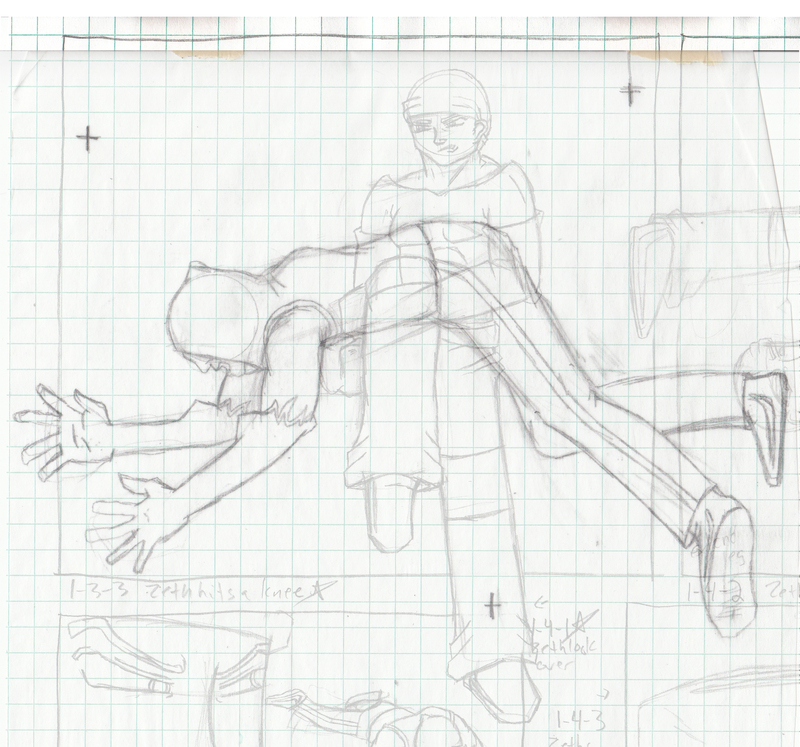 *(Zeth’s Locker Room) Production art to one of the opening shots in Cosmic Rage. 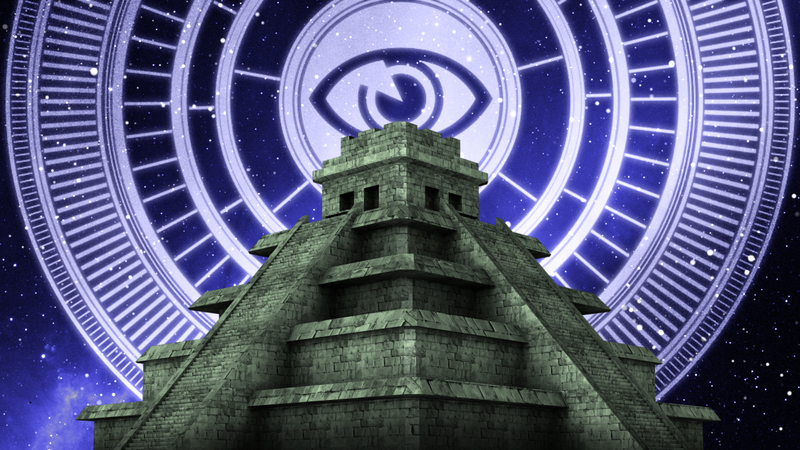 Programs used, Maxon Cinema 4D, Adobe Photoshop and Adobe After Effects. *(Building of a flooded city) This is a screenshot of the latest shot from the trailer. 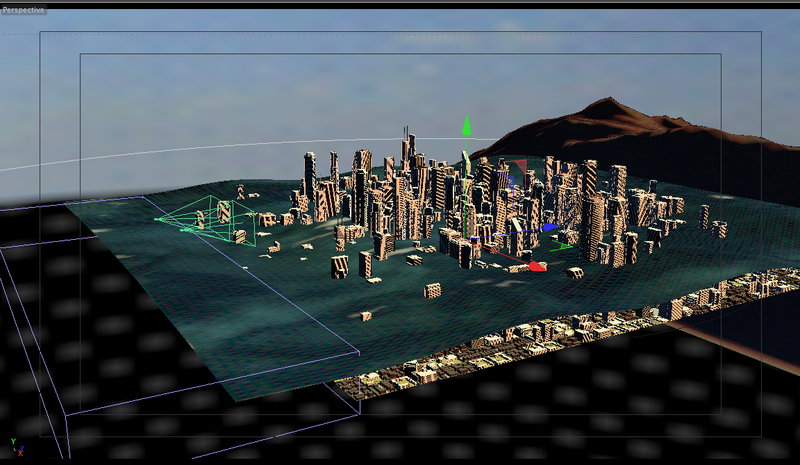 It involves a flooded city and the screenshot is from my working Maxon C4D file.